We have all heard about Eye-Popping Man or Lee Redmond and her 28 ft and 4.5 in long nails. Dennis Avner is widely known as Cat Man, the American who underwent many bizarre surgeries to look like a tiger, and Garry Turner is the man with the stretchiest skin on earth. All these Guinness World Records are hugely popular, so here’s a top 10 list of other unusual Guinness World Records. Believe it or not, the heaviest weight pulled with eye sockets is 907 pounds (411.65 kilograms). This extreme record was set by Chayne Hultgren, also known as The Space Cowboy. The Australian achieved the record in Milano on the set of “Lo Show Dei Record” in 2009. Space Cowboy has won the Street Performance World Championship twice, in 2006 and 2007. 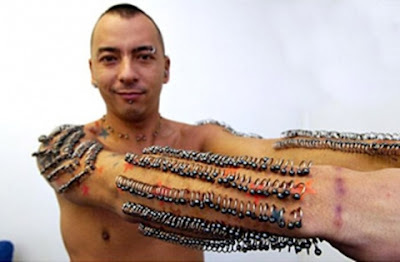 One of the many acts that brought him large media coverage is when he swallowed 27 swords decorated with the flags of all European Union’s members. The record was set on the day when Ireland rejected the Lisbon Treaty on European Union reform. The 2008 Guinness World Records Day was, according to GWR, their biggest day of record-breaking ever, with more than 290000 people taking part in record attempts in 15 different countries. Kenichi Ito’s record attempt was part of this special day. He is just another example of Japanese with ‘super powers’. His ‘super power’ is to run with great speed on all fours. Kenichi Ito run 100m on all fours in 18.58 seconds. The Japanese set this record at Setagaya Kuritsu Sogo Undojyo, Tokyo, in 2008. American Ashrita Furman, nicknamed Mr. Versatility, is no stranger to Guinness World of Records. 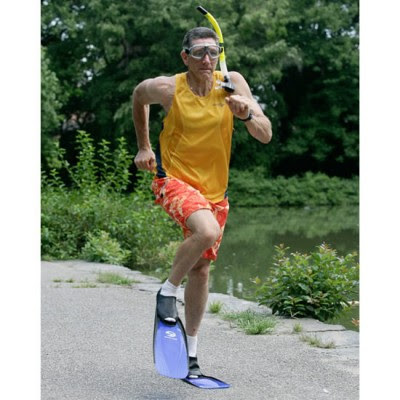 He set more than 340 official Guinness records since 1979 and currently holds 113, including the record for fastest mile run in swim fins: 7 min 56 sec. Ashrita achieved this record in 2010 at the Marswiese Sportzentrum in Vienna, Austria. The Discovery Science Center in Santa Ana, California celebrated this year the 15th anniversary of the BubbleFest. A bubble’s math principles and science were presented and demonstrated at the three-weeks long exhibition. The intriguing Bubble Show was also part of the program. Fan Yang and Deni Yang impressed the audience with their awesome skills for bubble making. 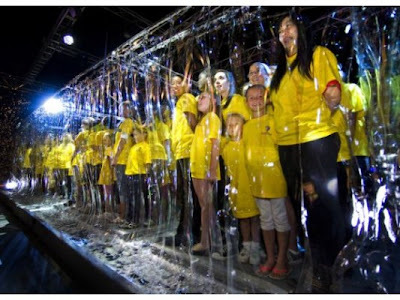 The Yang family collaborated with the Discovery Science Center to set a new Guinness World Record for most people inside a soap bubble and they succeeded. The family that has been working with soap bubbles for 27 years created a huge soap bubble and got 118 people inside it. The record was set on April 4, 2011. In May 2010, Chris Elliot and Tyson Turk (USA) set the world record for most body piercings in one session: 3100 in 6 hours and 15 minutes. It all happened at the Tyson Turk Tattoo Studio, Bedford, Texas. Chris and Tyson shattered the previous record of 1015 piercings in 7 hours and 55 minutes set by British Kam Ma and Charlie Wilson. 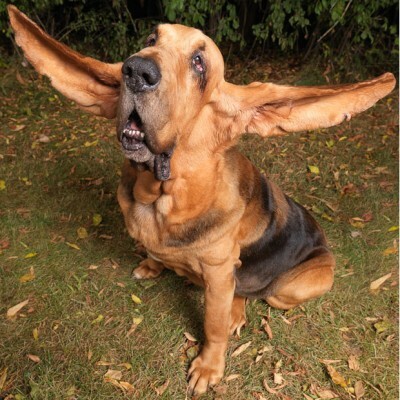 A bloodhound from Illinois has the longest ears ever measured on a dog. The right ear is 13.75 in long and the left one 13.5 in. The dog named Tigger earned this title in 2004 and is owned by Christina and Bryan Flessner. Mr. Jeffries is the previous record holder of this title. Each of his ear measured approximately 11.5 in long. 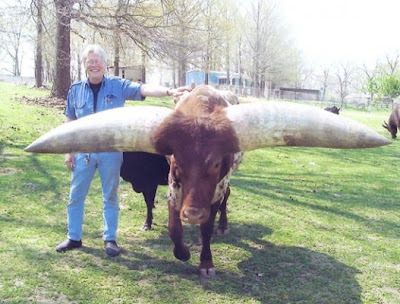 His grandfather used to hold this amazing world record, but when he died Mr. Jeffries took over. 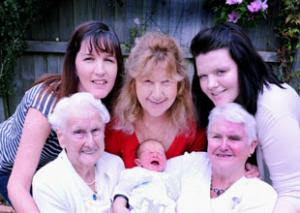 Did you ever wonder what is the Guinness World Record for most living generations in one family? Seven is the answer. Believe it or not, there is a record also for this category. Krunoslav Budiseli? 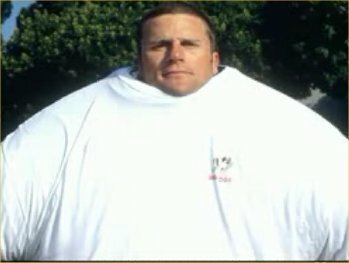 set a new world record on May 22, 2010 for wearing 245 T-shirts at the same time. The man from Croatia was officially recognized as the new record holder by Guinness World of Records after he managed to put on 245 different T-shirts in less than two hours. The T-shirts weighted 68 kg and Budiseli? said he began struggling around T-shirt no. 120. 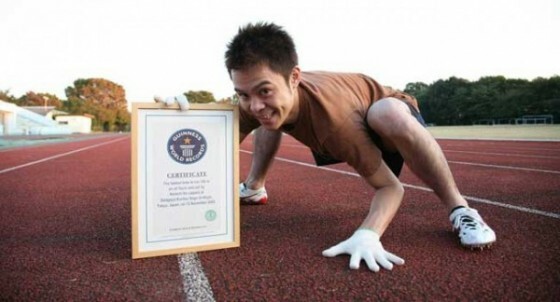 He dethroned the Swedish Guinness record holder who wore 238 T-shirts. Guinness World Records confirmed on October 09, 2010 that a gigantic pumpkin grown in Wisconsin was officially the world’s heaviest. 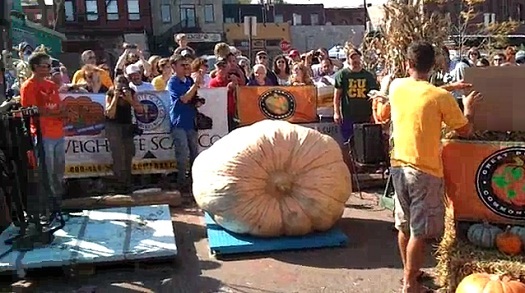 It weighed 1,810 lb 8 oz and was unveiled by Chris Stevens at the Stillwater Harvest Fest in Minnesota. Stevens’ pumpkin was 85 pounds heavier than the previous record, another huge pumpkin grown in Ohio. The proud farmer said his secret is a precise mixture of rain, cow manure, good soil, seaweed and fish emulsion. Some of the world’s heaviest pumpkins, including the record-holder were on public display at the Bronx Botanical Gardens in New York for several weeks.